Online page—explaining how individuals with scleroderma can maintain hand function—from the first online toolkit by the Scleroderma Patient-centered Intervention Network. Coming in 2019: an online program for people who have scleroderma, a rare autoimmune disease that is characterized by hardening of connective tissues and can substantially damage the skin, blood vessels, muscles, and internal organs. 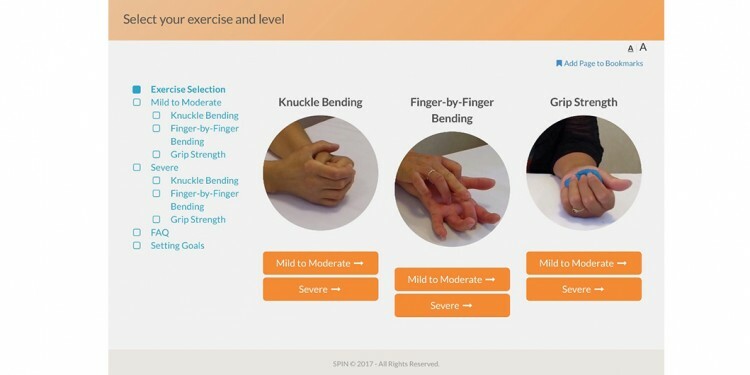 The program, jointly developed by patients and rehabilitation specialists, includes instructional videos for hand exercises, pictures showing common mistakes, advice on how to develop a personalized exercise routine, goal-setting and tracking features, and stories about patients’ experiences with hand disability and exercises. It was developed by the Scleroderma Patient-centred Intervention Network (SPIN), founded and directed by Dr. Brett Thombs, a Senior Investigator with the Lady Davis Institute at the JGH and a Professor of Psychiatry at McGill University. Despite the rarity of scleroderma, Dr. Thombs says the disease warrants attention, because “people with rare diseases face unique challenges, including a lack of patient-oriented disease management programs to meet their specific needs. Over 7,000 diseases are classified as rare, meaning they affect fewer than 1 in 200,000 people. Collectively, however, rare diseases affect 1 in 12 Canadians. Simply because these diseases afflict relatively few people, they are generally under-studied and treatment options may be lacking. In scleroderma, common problems include limitations in hand function and mobility, pain, fatigue and emotional distress as a result of disfigurement. In response, SPIN has brought together patients, patient organizations, healthcare providers and researchers from Canada, the U.S., the U.K., Australia, France, the Netherlands, Spain and Mexico to develop, test (via clinical trial) and disseminate online support programs. SPIN was launched in 2011 with a donation of $37,500 from two patient organizations, Scleroderma Canada and the Scleroderma Society of Ontario. 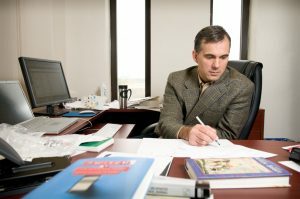 Since then, it has leveraged this seed funding into research grants totalling approximately $3.5 million, primarily from the Canadian Institutes of Health Research. At a national conference in Calgary this past fall, Dr. Thombs previewed SPIN’s first patient program and announced the launch of SPIN-SHARE, an online platform that will enable the public to share SPIN’s subsequent patient programs. Once tested, all of SPIN’s programs will be available without cost through a public SPIN-SHARE website. Recently, a generous donation was provided by the JGH Foundation to support SPIN-SHARE. More information and updates are available on SPIN’s website, on Facebook and on Twitter.